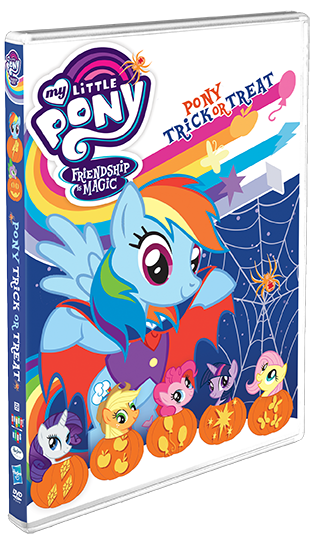 Five Episodes Of Creepy, Crawly Pony Fun! Get ready for a collection of spooky episodes that are sure to bring out the Boos and Ahhhs! 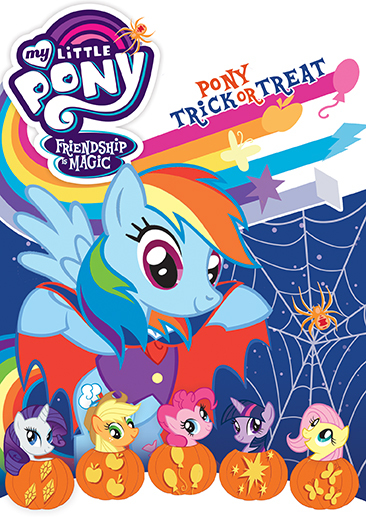 Twilight Sparkle and her best friends — Spike, Applejack, Pinkie Pie, Rainbow Dash, Rarity, and Fluttershy — experience spine-tingling adventures with zom-ponies, a changeling with a bad attitude and a trip to Limbo to rescue a magical icon!